The story starts with the protagonist having viciously attacked his wife. 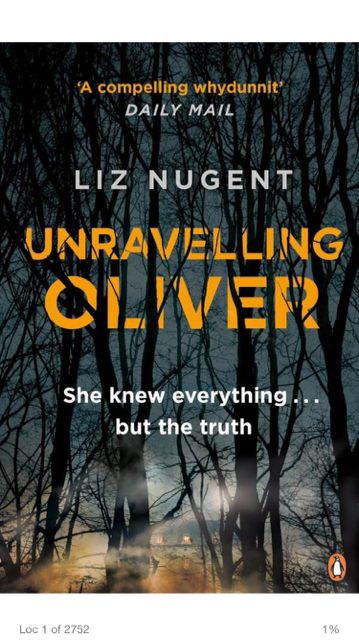 His cold and distant comment that, “I expected more of a reaction the first time I hit her” leads the reader to realise that there is something unusual and unnerving about Oliver. Each chapter is told from the perspective of different people who have known Oliver at different times in his life. It is through their stories about him that the reader is able to piece together the troubled life of Oliver. They also begin to unravel the reason behind the attack on his dutiful and somewhat downtrodden wife. The use of the different voices is an effective narrative technique as it serves to introduce the other characters without the bias of the 1st person narration of one character. Oliver does have a voice in some of the chapters but he comes across as cold and unlikable. I think it is only through the story of his childhood that the reader is able to gain some sympathy for the protagonist and his rejection from the only parent he ever knew. While there is a plot about what happened in France and the reason behind the attack, the main focus of the book is the main character himself. Some character focused books can become repetitive and lack pace, but that is certainly not the case here. The author creates a suitably complex character in Oliver and it could be argued that although he seems to cause pain and suffering for everyone around him, at the end he commits one selfless act. I would highly recommend and I would love to hear your thoughts. Sounds like a great book, if nothing else then from a writer’s perspective, using an interesting and seldom used narrative technique. What genre is the book? and how long did it take to read (I have an all too long to-read list already)?